Being part of fascinating cultures of many countries in Southeast Asia, Royal Palaces is not only a famous travel site, it depicts the rich history from centuries. 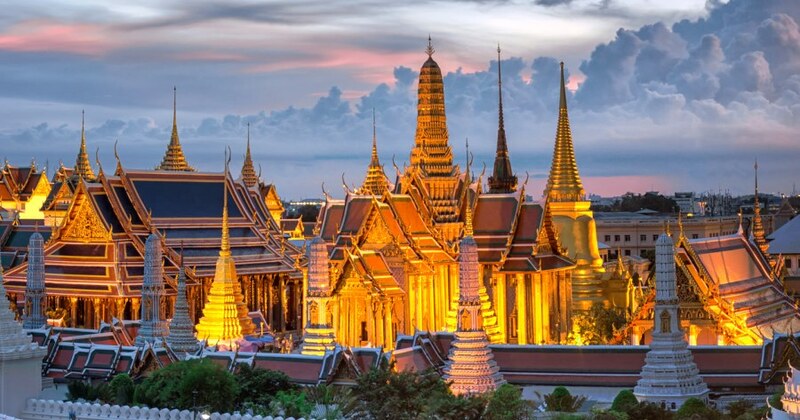 The spectacular Grand Palace, Bangkok’s most famous landmark, was built in 1782. For 150 years, it was home to the royal court. Today, it still remains a spiritual center for the kingdom. The intricately detailed architecture reflects Thai artistry at its most graceful. The building also boasts an Emerald Buddha dating back to the 14th century. Bangkok Palace is best to be captured during the day time and travelers need to dress modestly as the site now is home to Buddist pagoda as well. 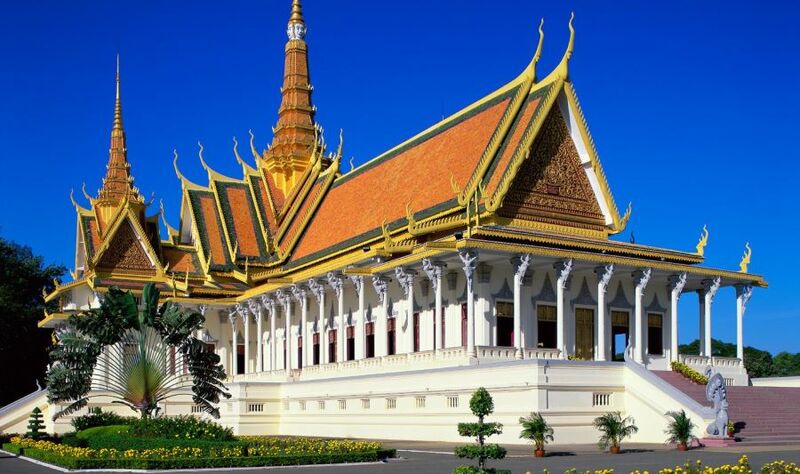 This palace – located in Phnom Penh – also features an Emerald Buddha. Made of Baccarat crystal, the statue was constructed in the 17th century. Behind it, you’ll find another Buddha statue produced in 1906, which contains an awe-inspiring 90 kg of gold and 9,584 diamonds. The palace’s construction reflects the shift of Khmer power from Angkor to Phnom Penh in the 15th century. Later, power shifted to Basan, Lovek and then Oudong. Before the capital of Vietnam moved to Hanoi, power was centered in Hue. This enormous complex on the Perfume River features hundreds of monuments and ruins, such as the Forbidden Purple City, where the royal family once lived – although much of it was significantly damaged during the Vietnam War. The complex also contains the Imperial City, royal tombs, pagodas, temples, a flag tower, library and museum. Hue also offers a wide array of royal attractions including Khai Dinh tomb, Minh Mang tomb and do not miss the chance to taste the royal food and cultural dance alike. The first palace built in Mandalay, this sprawling compound was constructed by King Mindon in the late nineteenth century. An immense fort and a 70 m wide moat were designed to keep away invaders. Visitors can only enter at the east gate. Beside this imperial construction, in any Myanmar Cruises , you will have chance to capture the uniqueness of four other ancient capitals of Burma kingdom lying along the river bank of Irrawaddy. Inside an elegant garden lies the Royal Palace Museum, also known as Haw Kham. The current main building was built in the early 20th century as the king’s residence, and the informative exhibits follow the country’s history from the Lane Xang kingdom and the colonial era to the present day. Along with this intriguing landmark, a plan to visit Laos must include Luang Prabang, a Unesco world heritage site and Vat Phou, a signature of Khmer culture located in the far north Pakse province. Traveling To China With Friends? Add These Worth-Exploring Things To Your Bucket List!